Zhao Dong’s words have a high level of influence in the community. Mr. Zhao is one of the most important OTC traders in the country that currently ranks fourth in importance in terms of crypto trading volume worldwide. 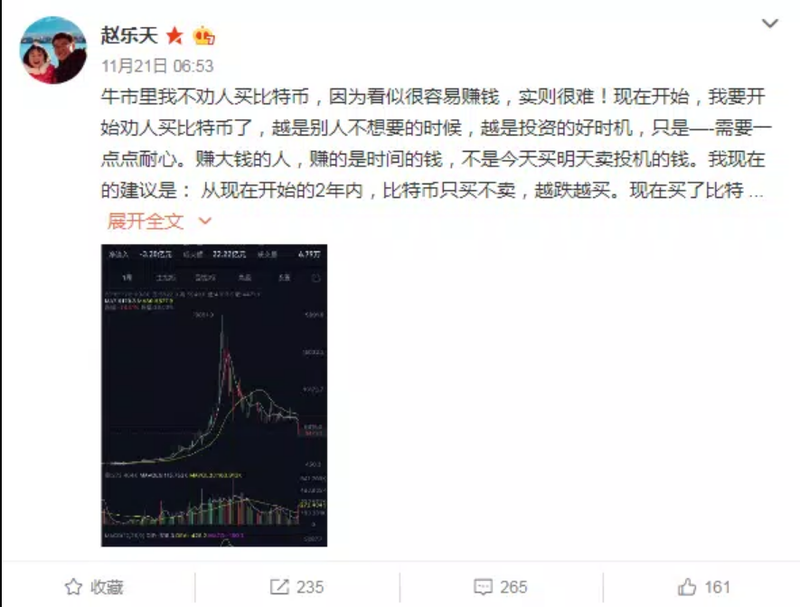 Just after the previous post, Zhao Dong predicted a bull run in Bitcoin (BTC) prices that would lead it to reach historical highs between 50k and 100k by 2021. 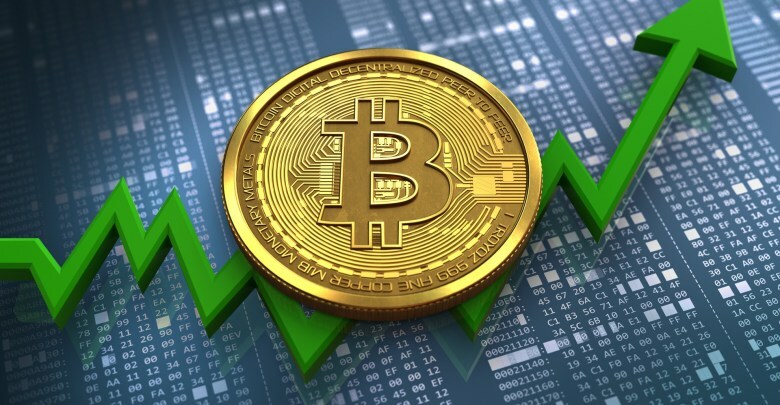 Zhao Dong’s prediction joins the favorable forecasts of prominent influencers such as Tom Lee, John McAfee, Tim Draper, and Mike Novogratz, who have full confidence not only in price recovery but also in massive adoption of cryptocurrencies in the near future. At the time of writing, Bitcoin (BTC) price is 4276 USD with a total market cap of 74.38B USD. 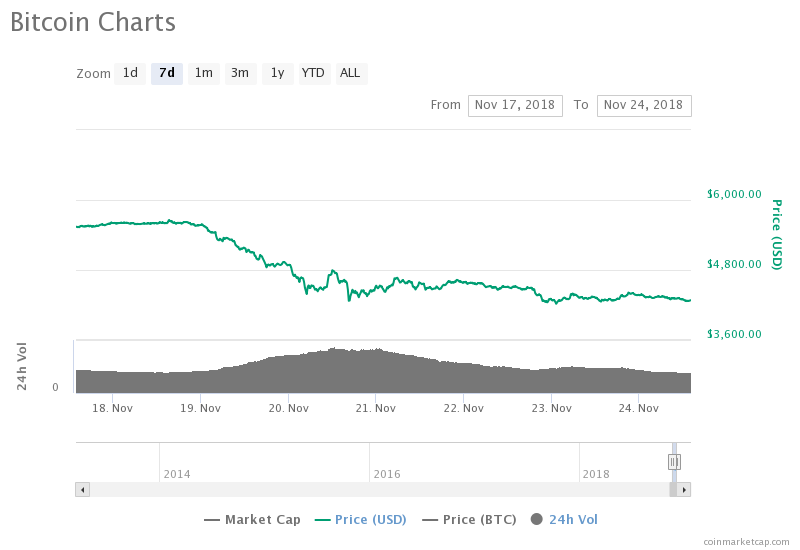 The behavior after the bearish streak caused by the BCH Hash War led it to touch historical lows, however despite not having a robust apparent support, at first glance seems to have already achieved a brief recovery after Calvin Ayre recognized that the BSV proposal endorsed by Craig Wright had lost that confrontation ending this nefarious episode in the history of cryptocurrencies. The problem with all these crypto news sites is that they are self serving. No real content. Just trumped up commentary.